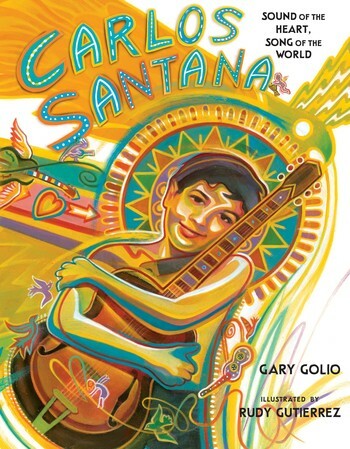 Carlos Santana grew up surrounded by music. 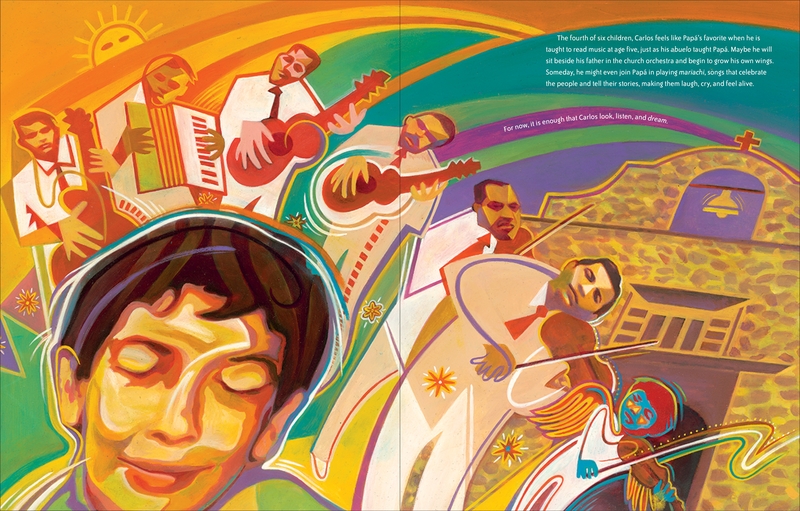 His father, a beloved mariachi performer, teaches his son how to play the violin when he is only six years old. But when Carlos discovers American blues, he is captivated by the raw honesty of the music. Unable to think of anything else, he loses all interest in the violin. When Carlos finally receives his first guitar, his whole life begins to change. From his early exposure to mariachi to his successful fusing of rock, blues, jazz, and Latin influences, here is the childhood story of a legendary musician. Gary Golio is the New York Times-bestselling author of Jimi: Sounds Like a Rainbow: A Story of Young Jimi Hendrix, When Bob Met Woody: The Story of the Young Bob Dylan, Spirit Seeker: John Coltrane's Musical Journey, and Biz & Diz. He lives in New York with his family. 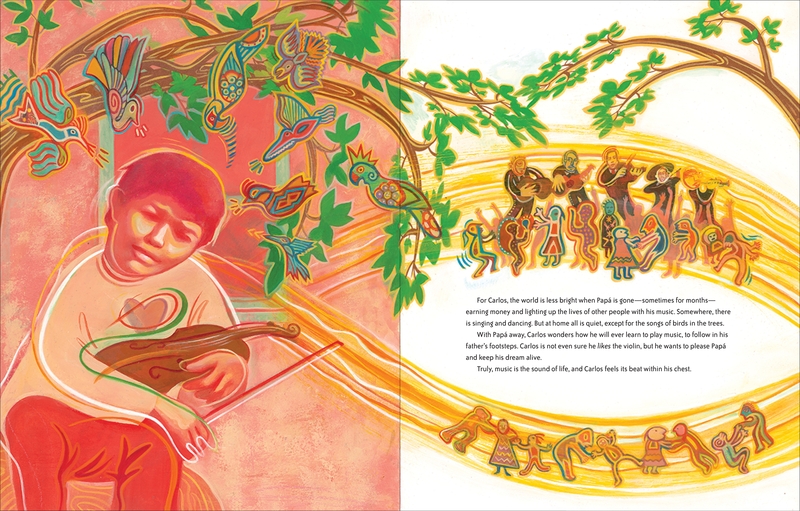 Rudy Gutierrez illustrated Papa and Me, for which he received the Pura Belpre Honor for Illustration. 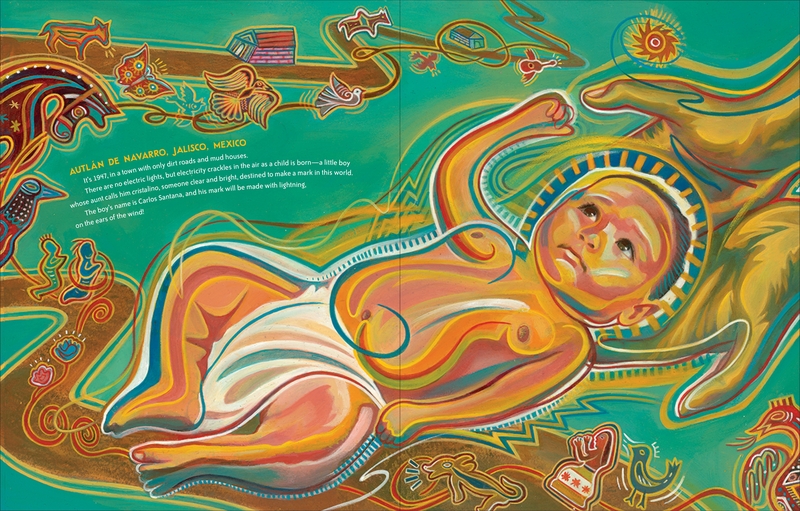 He is the recipient of a Gold Medal from the Society of Illustrators as a Distinguished Educator in the Arts and the Américas Book Award for Pelé King of Soccer, among other honors. 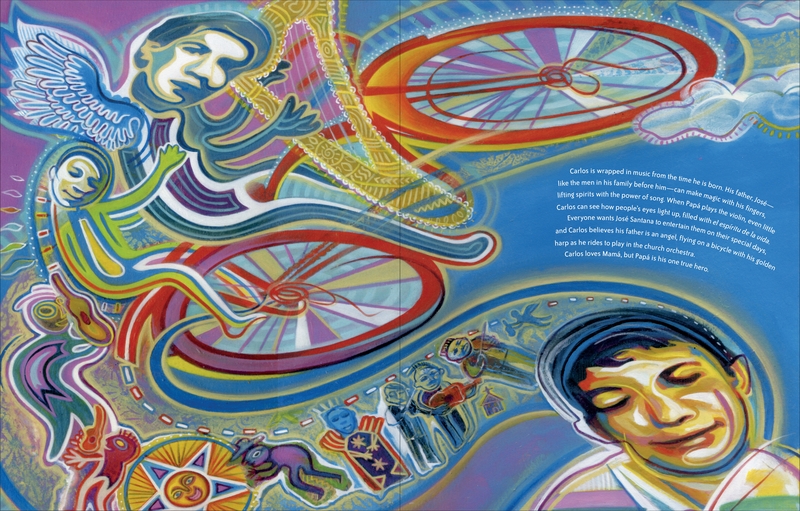 Rudy teaches at the Pratt Institute and lives in Bogota, New Jersey.